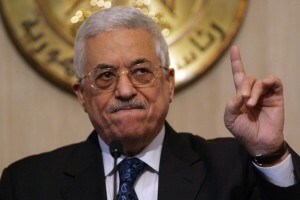 President of the Palestinian Authority (PA) Mahmoud Abbas has indicated that he will not accept any copy of Lebanon-based Hezbollah in Palestine in reference to Hamas’s control of the Gaza Strip. Abbas’s Fatah which controls the PA has been re-accepted in enclave at a Tuesday ceremony marking reconciliation between two Palestinian factions. Both movements fell out in 2007 after Hamas chased out Fatah members in the wake of 2006 elections won by the Islamist movement. The PA should also take control of the security of the 2-million populate Strip but Hamas has vocally opposed to the move. Hamas political bureau chief Ismail Haniyeh Tuesday said his movement will not hand over its weapons adding that the resistance against Israel will continue. Both factions are expected in Cairo next week for a major conference to cement the reconciliation. Written by: Jaber Ali on October 4, 2017. Posted by Jaber Ali on Oct 4 2017. Filed under Headlines, World News. You can follow any responses to this entry through the RSS 2.0. Both comments and pings are currently closed.